We measure our success by the achievements of our graduates. Our success isn’t just about the experience you have at the College of Business. It’s about what you’re prepared to do when you leave. That’s why the annual Graduate Report means so much to us. The report, compiled each fall, shows the success of our alumni who have graduated over the past year. We pride ourselves on preparing our alumni for leadership in a competitive and complex economy, and the report affirms that the Valpo approach gives our graduates an advantage. 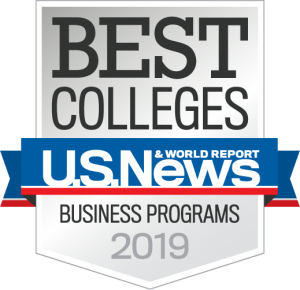 The most recent report included survey responses from 79 alumni of the College of Business, of whom 96.2 percent are currently employed or attending graduate school. The Valpo College of Business encouraged entrepreneurial thinking, allowed me to take on leadership opportunities and taught me valuable marketing strategies. All of these things helped prepare me to go into business for myself as a Real Estate Agent. I’m proud to say that Valpo is party of my story.